Pakistan’s visit to Ireland and England earlier this year with a largely inexperienced squad was considered by many observers to be one that was doomed to end in abject failure. However, the results of the three Tests which Pakistan played put paid to many of the naysayers and possibly put into perspective the struggles of the much-vaunted Indian side that was recently defeated by a 4-1 margin by England. One of the key performers for the visitors on this tour was the 28-year-old Mohammad Abbas who put in some sterling performances during the Test series and ended up as the highest wicket-taker with 19 wickets to his name. It was perhaps a recognition of his skills that convinced the Pakistan team management to send him to England ahead of the series to acclimatise by playing for Leicestershire. This was an opportunity that the pace bowler accepted with open arms, as he explained in an exclusive interview with PakPassion.net. A very important aspect of playing County cricket is the wide variety of players one comes across. This can range from talented cricketers at the start of their careers to battle-hardened campaigners and as Abbas described, the experience of playing against such players is invaluable and something he can use for his own benefit in the future. Playing in Division 2 of the County Championship, Leicestershire have been struggling for the past few years to make an impression. 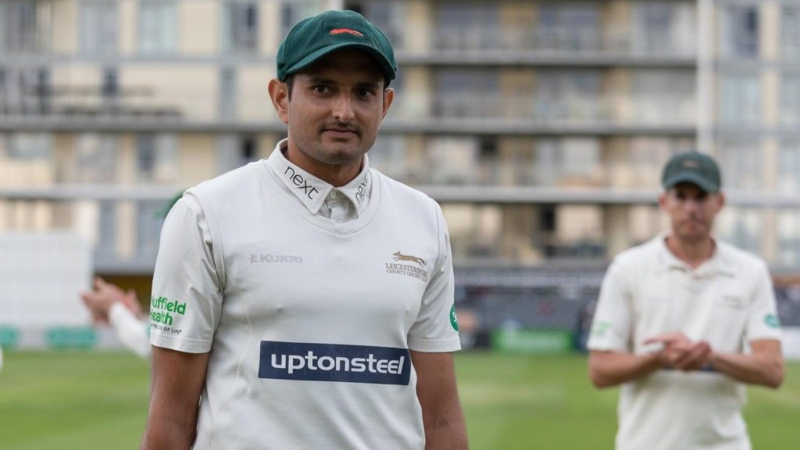 Mohammad Abbas’s inclusion in the line-up this year was expected to have an impact on the fortunes of the club and it seems that the assessment was not too far off the mark, as the fast-bowler explained. Whilst Abbas has come close to becoming a sure-fire selection for the Pakistan Test side, he is yet to represent his country in any of the shorter formats of the game. This is one aspect of his career that Abbas hopes will also see some development given his experience at Leicestershire this summer. The hype around the ongoing Asia Cup, as is always the case, is firmly centred around the iconic India-Pakistan rivalry which could see both teams play each other on possibly three occasions during the tournament. Mohammad Abbas is excited about the upcoming competition and is rooting for his nation to emerge as victors. James Anderson recently broke Glenn McGrath’s record to become the highest wicket-taking fast bowler in Test history. His success is obviously a great moment for the player himself and his many fans but to Mohammad Abbas, an avid fan of the England bowler, the achievement means something special for the fast-bowling community, “James Anderson is one of my favourite bowlers, he's one of my bowling heroes and he is someone I respect immensely. I feel that him breaking Glenn McGrath’s record is great news for fast-bowlers and the fact that he has played 143 Tests is proof of his hard work and stature in world cricket. When I asked him for his advice after the Lord’s Test earlier this summer, he gave me some tips on bowling but then also said I don't think you need my advice mate, as you are bowling so well and have just taken 8 wickets in a Test match at Lord's and helped your country to a win. To me, this is a mark of Anderson’s humility and that is also what makes him such a great bowler and someone I admire,” he concluded. Last edited by Abdullah719; 15th September 2018 at 03:32. County cricket is great, but fair to say overseas participation has seen its heyday many years ago. These days any overseas players playing seems very extra-curricular. Two matches (against Durham and Glamorgan) remaining for Leicestershire this season. Abbas would be a complete bowler if he somehow manages to add couple of miles to his bowling speed. Bhavunashewar Kumar used to bowl more or less at a same speed as Abbas when he started off but with time he increased his pace by at least 5 miles and now bowls consistently at around 140 km/h. I am sure with time Abbas would follow suit and by playing county cricket he is likely to improve on all aspects of bowling. Can he be effective on all surfaces or just ones where ball swings? So far he has been. Even on the docile UAE pitches. Lack of pace will probably only hurt him in Australia. However, I still want to see how he does in South Africa, Sri Lanka and New Zealand to see exactly how good of a bowler he is. Swing or seam by batting outside the crease or even at times coming down to the bowler to upset his line and length and we saw this happening to Abbas in 2nd test of recent England series where Butler completely neutralized his seam and swing by playing outside the crease and Abbas failed push him back due to lack of pace.. Butler and our atrocious batting in the first innings won England that game and also draw the series.. He has done well in international cricket so far. Hopefully county cricket improves him further. He seems to have a good attitude and always gives his best. Abbas and buhvi bowl around the same pace, 127-133 kph. Bhuvi has added a few miles to his pace and bowls consistently above 135 km/h now. You may also watch some videos of his recent bowling spells online .. He has built some muscles. He's 140+ bowlers now. Changed his focus a little bit. County cricket used to be the finishing school for upcoming overseas stars. They would learn how to bowl and bat here, come back in the tests and beat England. It's just a matter of time before he become the no. 1 test bowler, if he can bowl like that on a road he will be unplayable on helpful surfaces. Imagine Asif and Abbas as a bowling pair. I wonder if there are more Abbas type bowlers in Pakistan. Regardless of conditions if you attack an off stump line or just outside with good line and length you will get more wickets then others which Abbas has shown in this game. Leicestershire are looking to bring in an overseas specialist for next season's T20 Blast campaign. The club have Pakistan fast bowler Mohammad Abbas as the overseas signing but he has primarily been signed for four-day and one-day cricket. "We are looking for extra finance for an overseas T20 player," chairman Paul Haywood told BBC Radio Leicester. Meanwhile, it is likely that the club's new chief executive will not be in place for at least three months. Wasim Khan is leaving the role to take over as managing director of the Pakistan Cricket Board. The club hope to announce the replacement for Khan next week, but the interim replacement as CEO, Roy Bent, will be in situ until the new person arrives. Haywood said the club was making good progress with on-field matters too and head coach Paul Nixon is happy with how the squad is shaping up for the 2019 season. "Paul said at the end of last year that the number of people on the staff was too many, and he needed to reduce it down to 20," Haywood added. "Pakistan are coming here to play five ODIs, which Mohammed isn't a part of, he just purely plays in Tests, so if we've got him next year for the full County Championship season that will make a difference."